There are surprises in life that are special — and others that leave you gasping for air. Several weeks ago I had a “gasping for air” surprise. Our executive director Phil Schmidt shared with me that the Lord was clearly directing him to leave ChildHope and take on the role of lead pastor of a church in the Mobile, Alabama area. 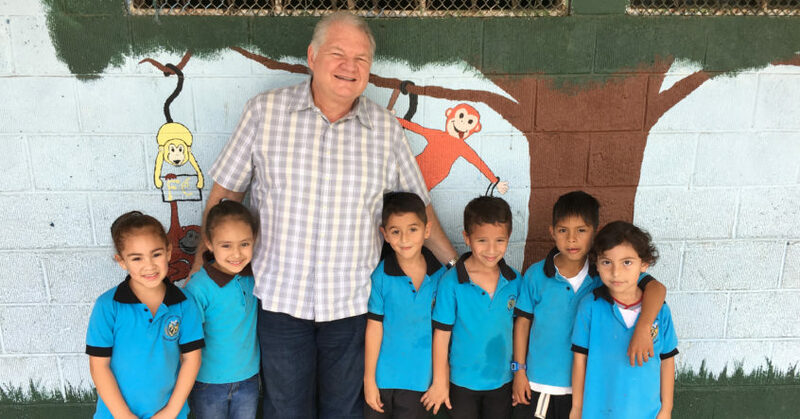 Phil and Lori Schmidt have been dedicated ChildHope missionaries for 28 years, serving in Costa Rica and Mexico. Since 2003, he has served as our executive director with excellence. Phil’s departure is a significant loss for me personally and is keenly felt by our entire team. ChildHope is in great hands during this season of transition. Our staff in Springfield is an experienced team — their work strengthened this year by new technology linking our US sponsor operations with our work in the countries we serve. We are functioning at new and stronger levels of efficiency. Our publications are planned months in advance — and we have the tremendous support of consultants, who have worked with us for over 30 years. Our executive leadership team has decades of field-based experience in the ChildHope ministry, offering wise and prayerful discernment for the days to come. I will be personally coordinating the work of ChildHope during this transitional season — and I am grateful for the opportunity to serve ChildHope following my retirement as president of the Assemblies of God Theological Seminary. I have served in various leadership capacities with ChildHope since the 1980’s — and remain deeply committed to supporting and discerning God’s best for this marvelous ministry. This transition did not surprise God. We want to assure you, as a faithful sponsor and donor to ChildHope, that the ministry is in good hands with seasoned leadership. Your sponsored child’s experience in our ChildHope schools will continue with the enduring commitment to compassion, education and transformation that has been our hallmark since 1963. Please join us in prayer as we discern next steps and select a new executive director. We anticipate that we will be able to announce our new leader by the first of the New Year. Photo: Byron Klaus with children in a ChildHope school.